The Arctic Circle is a circle of latitude that runs 66°33′45.9″ north of the Equator. It marks the southernmost latitude where the sun can stay continuously below or above the horizon for 24 hours. 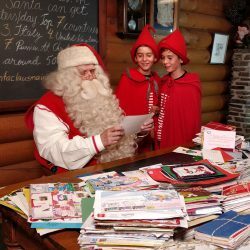 You can find various types of quality accommodation located at the Santa Claus Village. 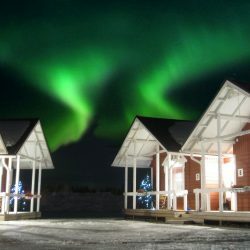 Santa Claus Village is located at the Arctic Circle, about 8 km north from center of Rovaniemi, the Official Hometown of Santa Claus. 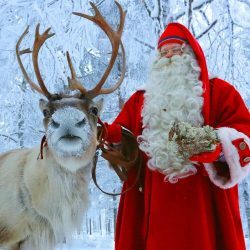 You can meet Santa Claus and cross the magical Arctic Circle every day at the Santa Claus Village in Rovaniemi in Lapland, Finland. 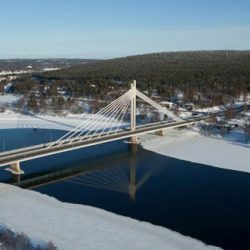 Rovaniemi is the Official Hometown of Santa Claus in Lapland. 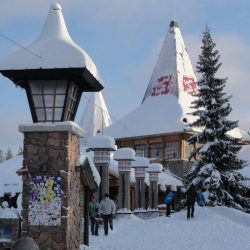 You can find many programme service companies, souvenir shops as well as Santa’s Main Post Office, and cafes and restaurants in Santa Claus Village. 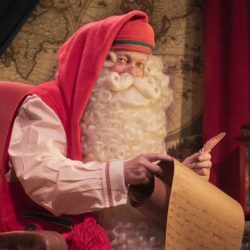 And of course, Santa is there too, in his chamber every day of the year. Information, guide services and Arctic Circle Crossing Certificates are available from the Arctic Circle Information Office. 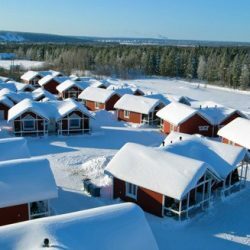 Santa Claus Village is situated 8 km to north of Rovaniemi towards Ivalo along highway 4. 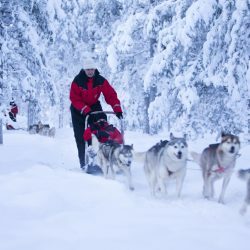 You can also easily reach the Arctic Circle also by local bus number 8 and by bus “Santa’s Express”.